Can you believe that it’s been over a year since my last train review? As much fun as I had writing my review of the Pacific Surfliner between San Diego and Los Angeles last year, I have taken exactly *zero* train trips since then and it had me feeling an awful itch to write another one. Making matters worse is that my house overlooks a canyon with train tracks running through it, and every day I watch those trains zipping back-and-forth down there, taunting me to throw caution (and responsibilities) into the wind and hit the rails. Thank god I don’t live next to an airport. 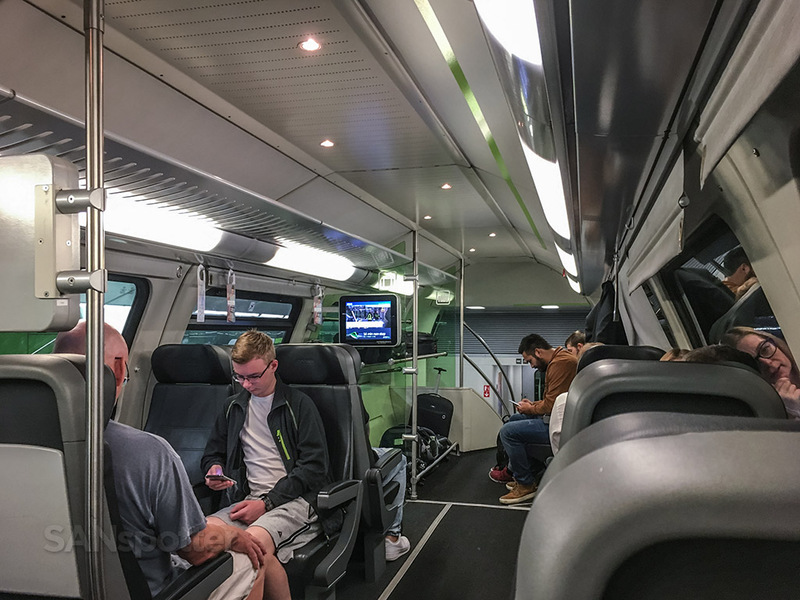 As I mentioned in my Pacific surfliner reviews, I don’t consider myself to be a proper “railfan” – but I do have a boyish fascination with all things mechanical, so combined with my love of travel, it only seems logical that I find trains so interesting. 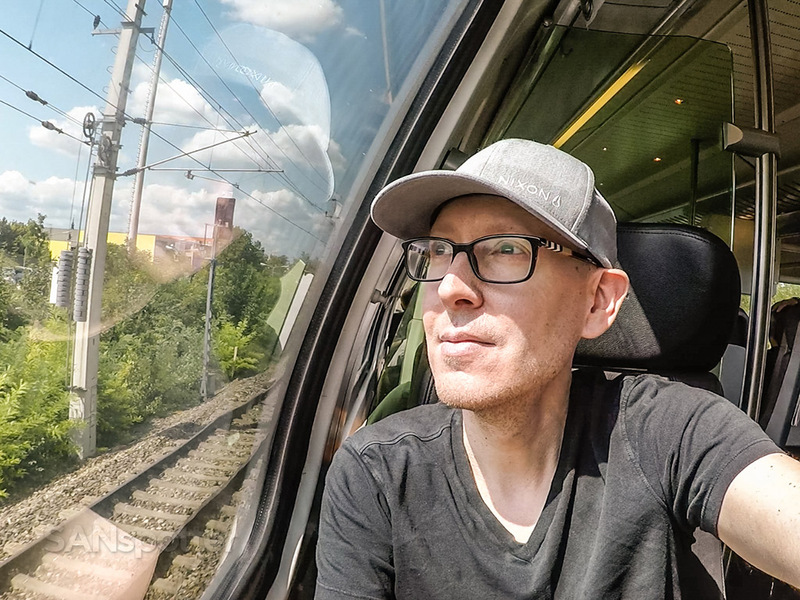 Commuter trains, freight trains, long-distance trains – it doesn’t matter, and I’m totally game to take a ride on anything. The ironic thing about my fascination for train travel is the fact that I am an absolute dunce when it comes to figuring out public transportation. Flying into a new city and having a look at the map for the metro or rail system always gives me heartburn, and more often or not I just throw my arms up in surrender (fear is more like it), ending up in Uber or a taxi instead. However, now that I am self-employed without a fat corporate paycheck coming in every two weeks, money is a lot tighter than it used to be and I’ve got to be a lot smarter about my travels. That’s why I made it a goal for this trip to Vienna to use nothing but public transportation while on the ground. Seems like not a very big deal, but it actually IS a pretty big deal for a sheltered dude like me who grew up in the Midwest and never had to use public transportation a day in his life before the age of 22. Not because I didn’t want to, but only because it simply didn’t exist way out there in the boonies. 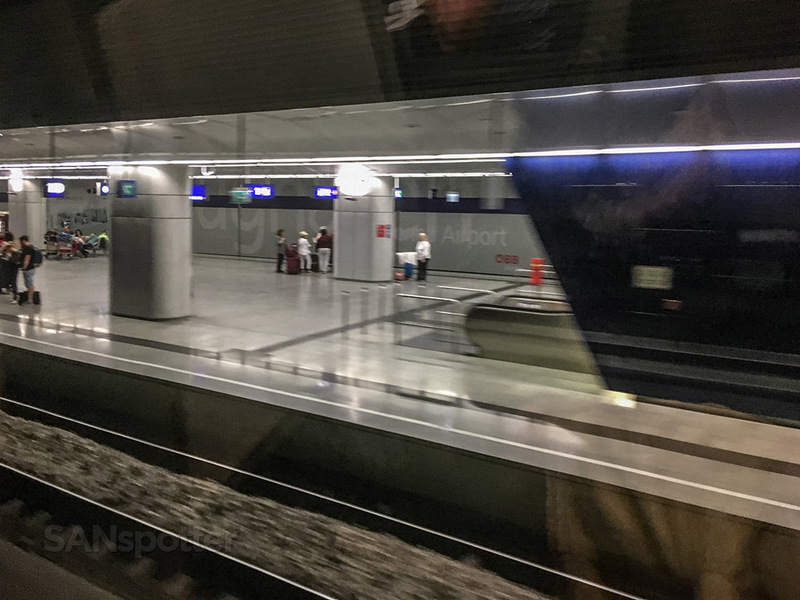 I’m happy to report that my fear of public transportation was blown way out of proportion leading up to this trip, and once I found myself standing there in the Vienna airport looking for the CAT (City Express) train, it took literally seconds to get my bearings and figure out exactly what I needed to do. 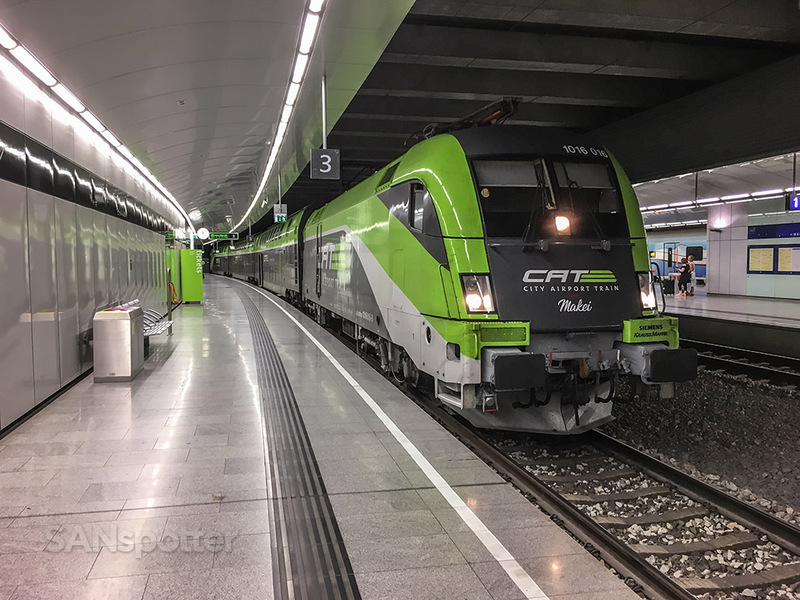 For those that don’t know, CAT stands for “City Airport Train”, and it’s sole purpose is to shuttle people between the airport and the city center of Vienna in exactly 16 minutes. 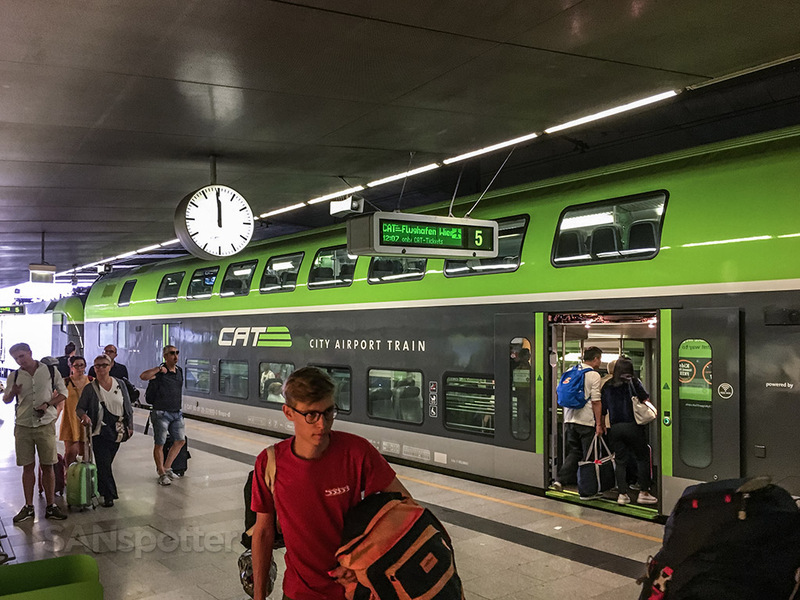 First of all, the CAT train is very well branded, featuring a neon green logo that is plastered everywhere in the arrivals section of the airport. I’m the kind of person who wouldn’t notice Michael Jackson if he was standing right next to me, but finding the signs that lead the way to the CAT train was extremely easy and I didn’t even have to ask anybody for directions like I normally do. 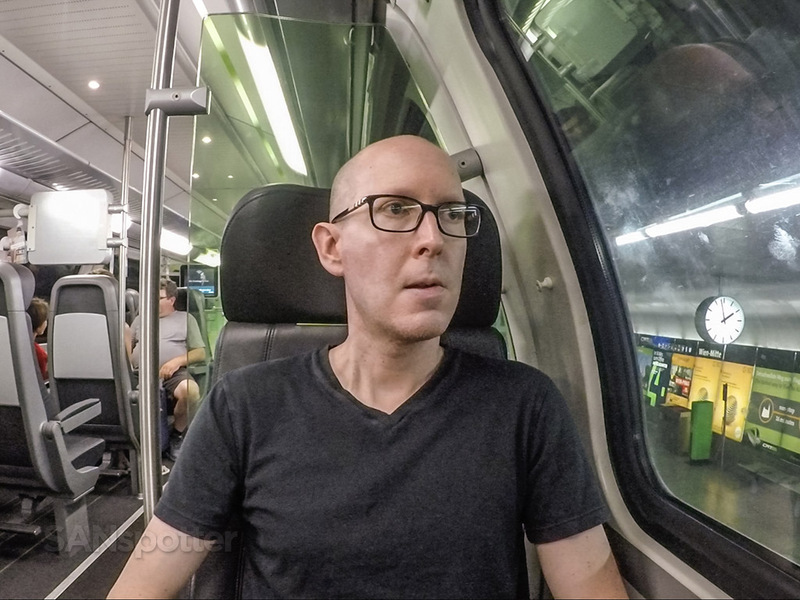 Roaming through the basement tunnels of the Vienna International airport, in search of the elusive CAT train. 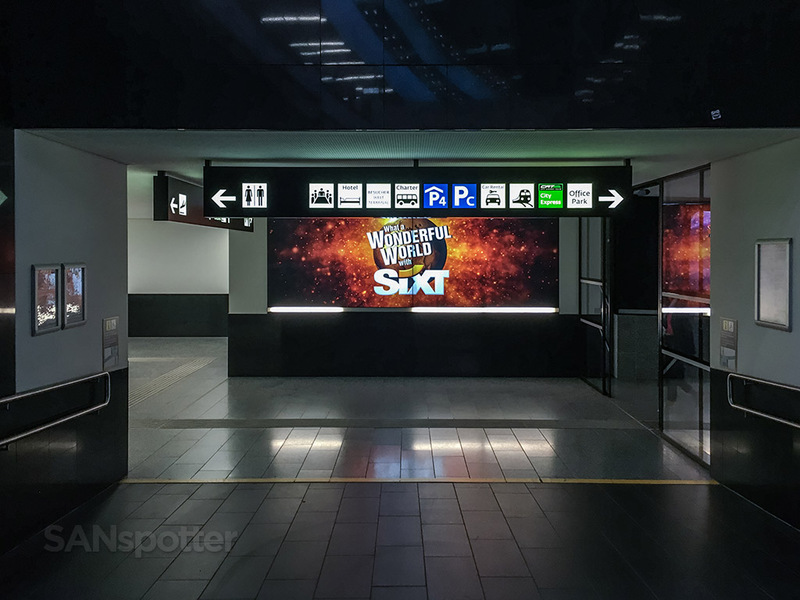 Just follow the green “City Express” signs (without getting distracted by SIXT’s “Wonderful World” thingy). You’re wearing your comfortable walking shoes, right? 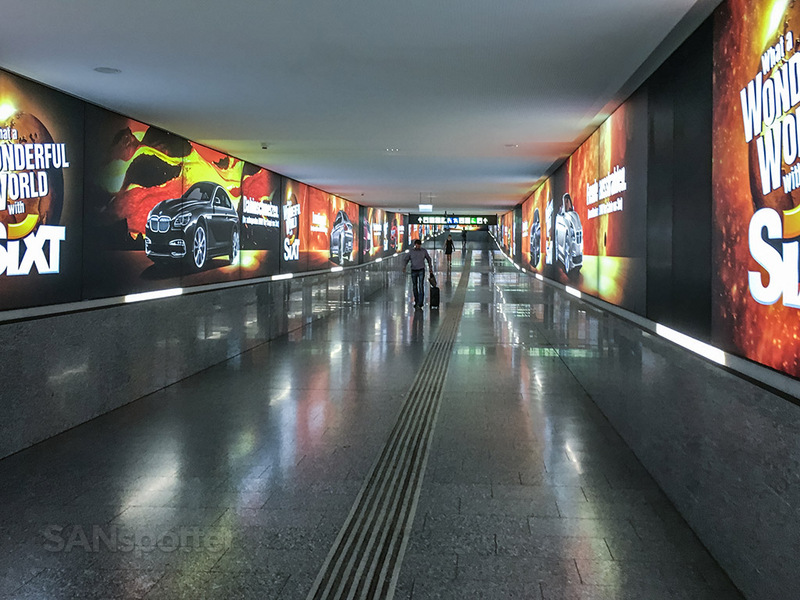 I was starting to feel like I needed a train to find the train – or (perhaps) a rental car from SIXT. I wonder if I would have been able to find the City Express entrance if it wasn’t so green? If it were the standard “airport wall” color, I would have walked right by I’m sure. 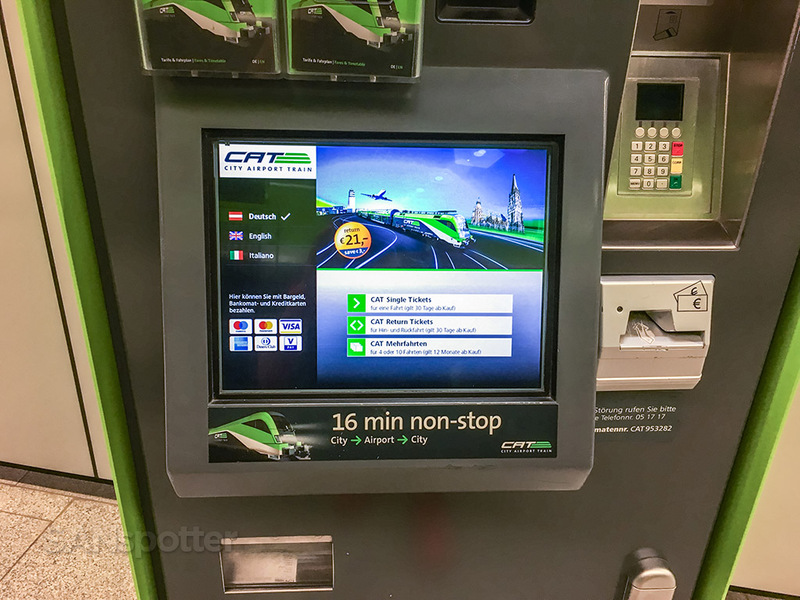 The other thing is that gives me anxiety about public transportation is the process of purchasing tickets – mostly because it requires a bit of research beforehand, and you’ve got to know exactly where you’re going and how to find it on a map so that you can select that option on the kiosk. This sort of on-the-fly wayfinding is something I am admittedly very terrible at, so much so that I even had to have someone help me the first time I tried to purchase a BART ticket at SFO several years ago. Yes, it was as embarrassing and soul-crushing as you’re imagining it to be. Ok Scott…concentrate. You got this! 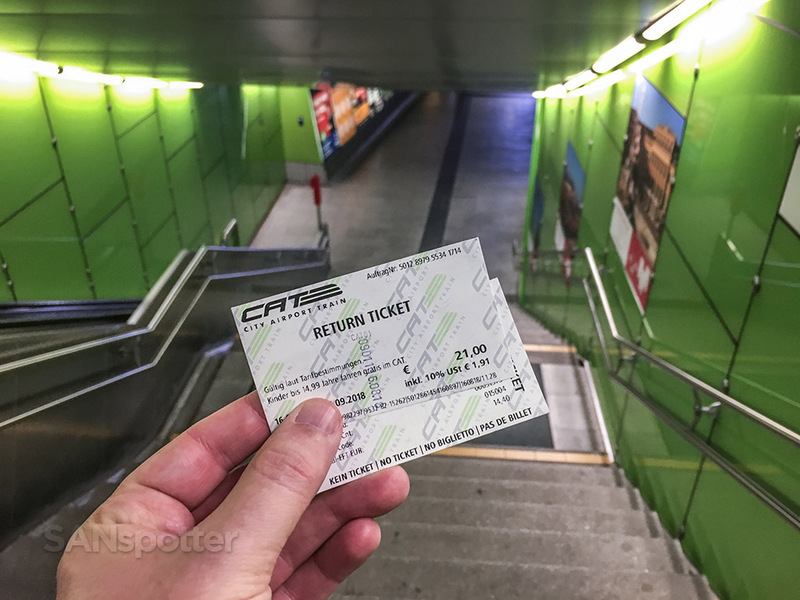 Thankfully there was no embarrassment this time, and purchasing a ticket for a ride on the CAT train from the airport to the city center was extremely easy thanks to the kiosks that are scattered throughout the station. 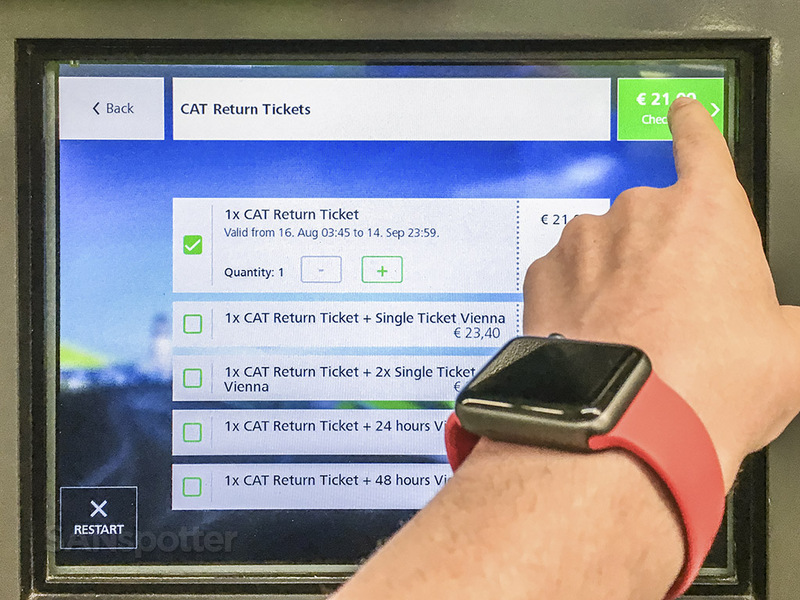 There was absolutely no confusion at all as I followed the prompts on the screen to purchase a round-trip ticket for 21 Euro, and once complete, I was free to board the train. 60 seconds and two very sweaty palms later, I had my ticket in hand and I was ready to board the train. It was even easier than purchasing a ticket for the shuttle bus between Haneda and Narita airports! Trains run every 30 minutes, and I was lucky enough to have one waiting for me by the time I got down to the platform. Yes, even though this train was bright green and it said “City Express” on the side, I still had a bit of worry in me that I was going to end up in Moscow or something. I’ve mentioned several times already that my public transportation experience is very limited, so I didn’t really know what to expect as I was getting on the train. I did know that I wanted a seat on the upper deck if possible (for the best views), and once I climbed the stairs I was happy to see that there were plenty of single seats available and I was free to sit anywhere I pleased. 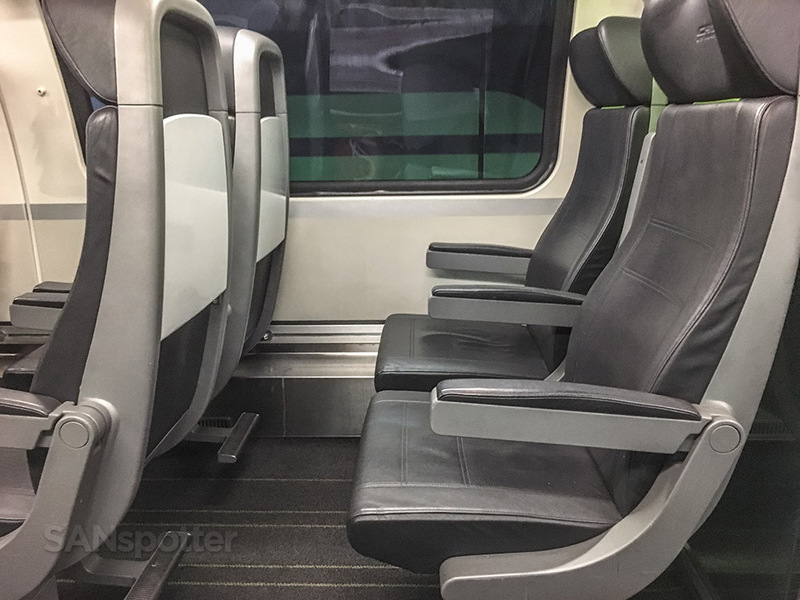 The interior of the city express train is really nice. 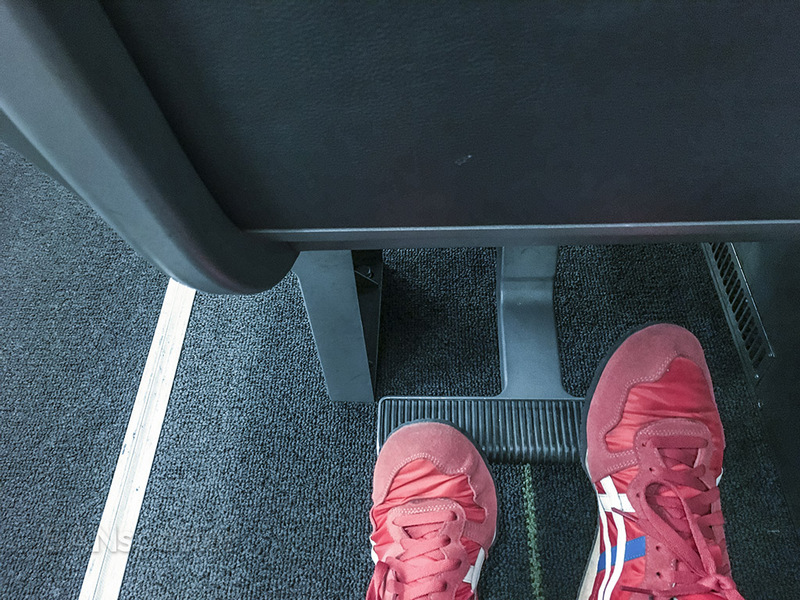 The 2-1 layout is really comfortable for solo travelers such as myself, and my only disappointment was the fact that the seats weren’t the same vivid green as the logo. 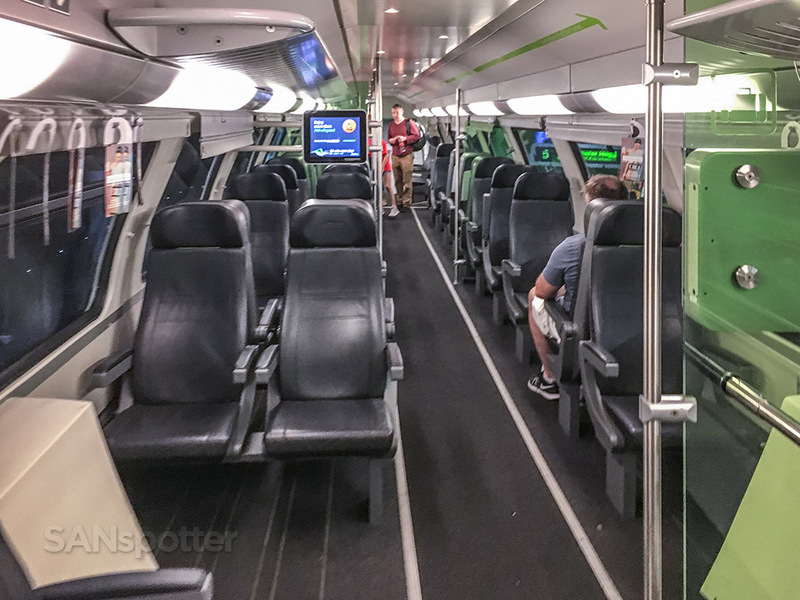 Oh, just admit it – it would be really snazzy even if there was just one row of seats that were bright green. Am I right? 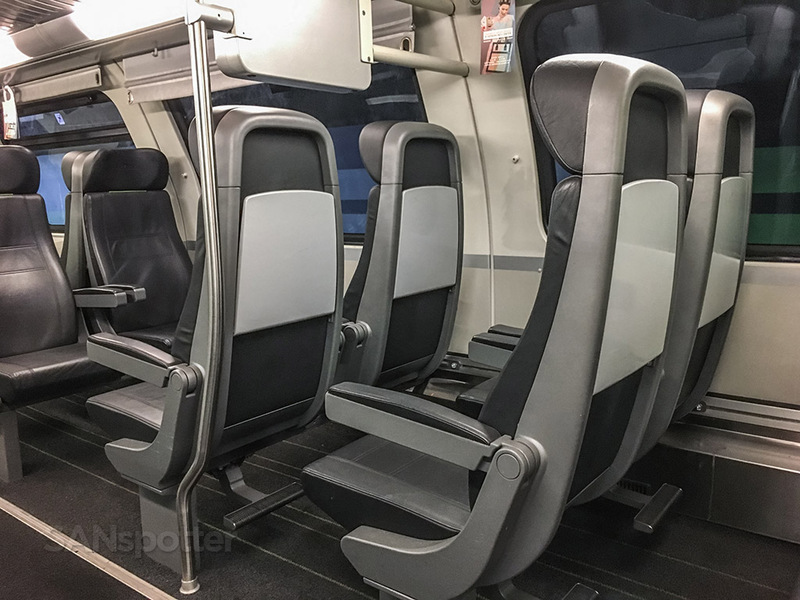 Maybe if this travel blogging thing doesn’t work out, I can pursue a second career as an interior designer for the world’s leading train networks. Leg room even more generous than what they give you on Air Canada Rouge. Let’s just hope with all our might that Air Canada Rouge Railways will never (ever) exist. 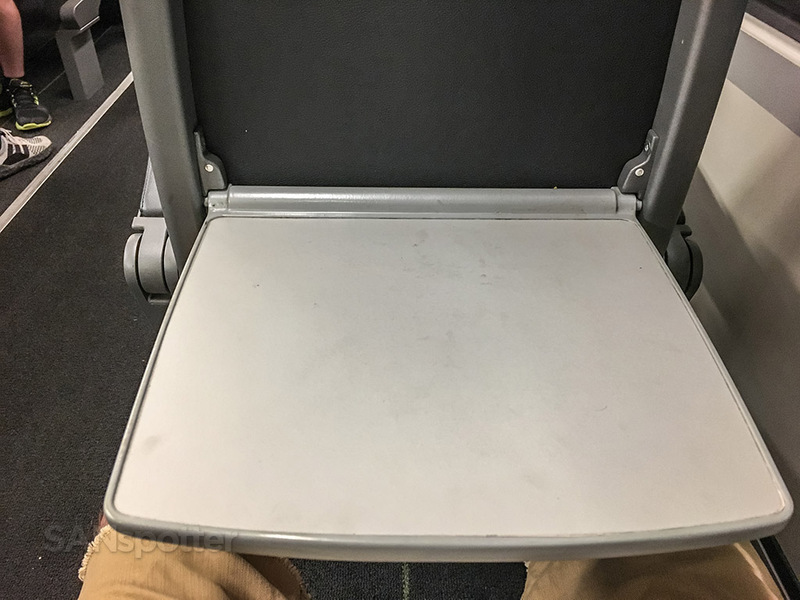 Maybe if just the tray tables were green? I’m telling you, the designer in me just can’t let this go! Despite looking exactly like the brake pedal from a 1978 Buick LeSabre, this foot rest was quite comfortable. The tray table was a little bit nasty (thankfully not Hawaiian Airlines nasty), but I appreciated the large size. 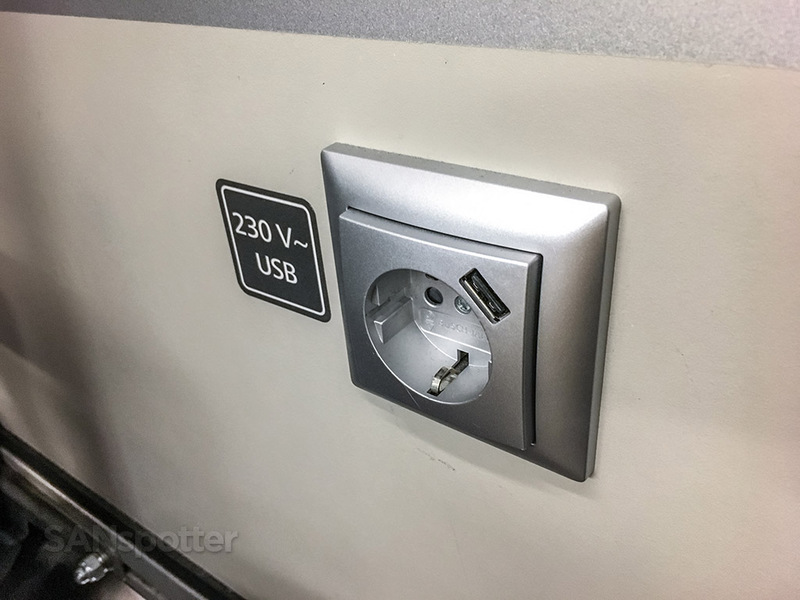 Not only is there free Wi-Fi onboard, there are also convenient power outlets at every seat which will keep your phone happily charged as you live stream your CAT train experience to Instagram. I still can’t believe that I was able to purchase these tickets without spending two hours scouring Google or having to get help from a CAT train employee. Here we go! Sadly, I didn’t hear a single “aalllll aboard!” before rolling out. Maybe I watched too much TV as a child? Shortly after the train started rolling out of the station, it occurred to me that no one (or nothing) verified my ticket and I was wondering if there were no checks in place to prevent someone from using the train without paying. It’s a completely different experience compared to what happens in the airline world (where you can’t step 10 feet without someone asking to see your ticket or identification), and for the moment I thought it was kind of neat that they had enough faith in humanity to run this business on the honor system. Pro tip: the views from the upper deck are worth it. As promised, we arrived at the central station exactly 16 minutes later. If only the airline industry could be this reliable! Then again, that would take all the drama out of air travel, and who doesn’t like a little drama in their life? 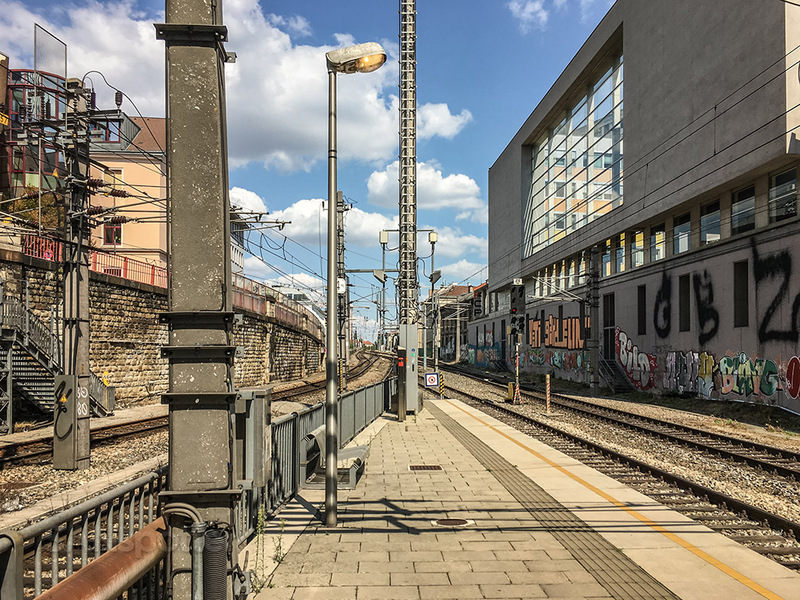 Taking one last look at the exterior of the train station as I walk away to explore central Vienna on foot. As terrible as I am with directions, I was worried that this was going to be the last time that I would ever see this place! 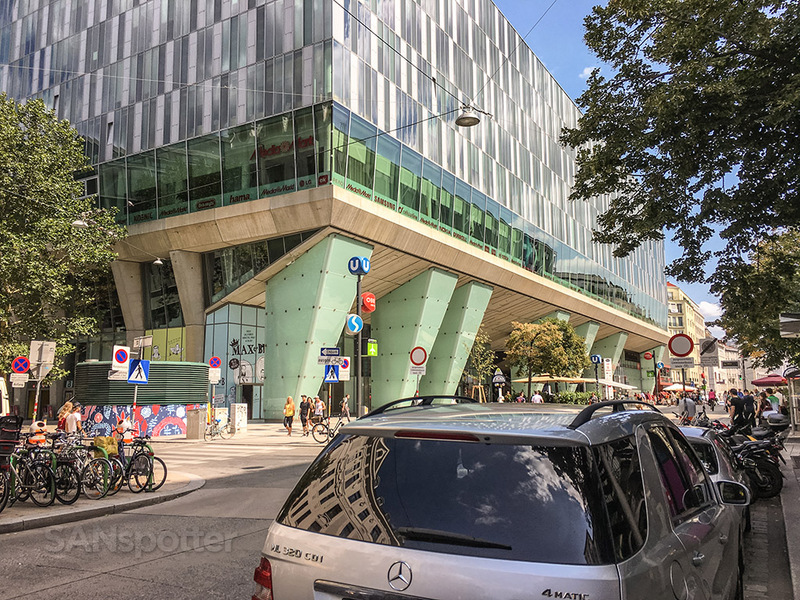 After a fun and adventure-filled afternoon roaming the streets of Central Vienna, it was time to return to the Vienna airport (and the Moxy). You already know how bad I am with directions, so I was feeling pretty good about myself as I found my way back to the central station without a hitch. Who says I can’t be left alone unsupervised? 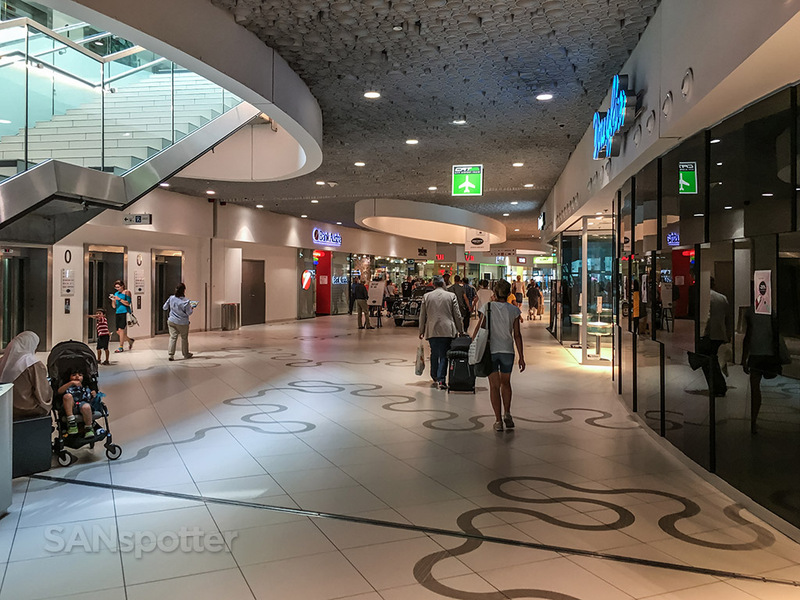 The central station here in Vienna is a huge shopping mall-like experience, and it’s an excellent place to hang out and wait while you wait for your train to arrive. There’s even a dedicated CAT lounge here which was more like something you’d see at the airport than a train station. There are ticket and baggage drop counters, kiosks, and plenty of seating available just like you’d see any major airport. 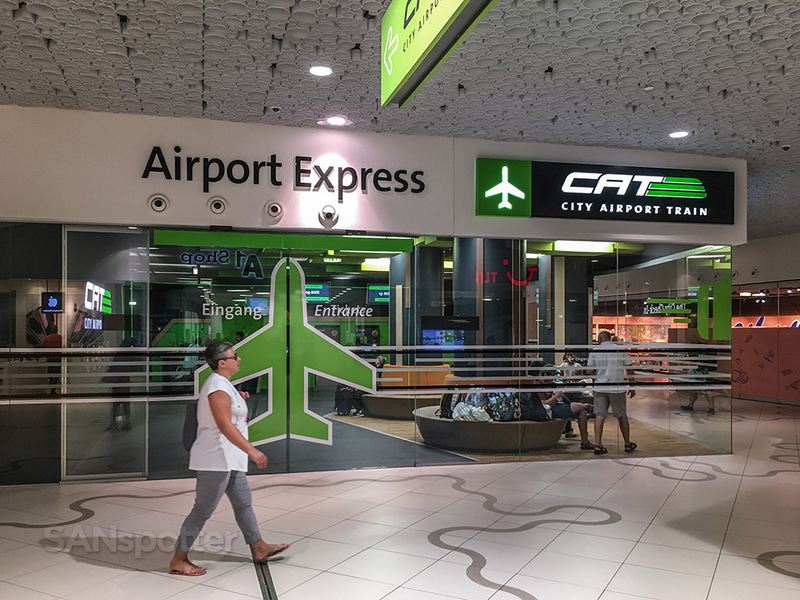 For the return trip to the Vienna airport, just look for this city express lounge located in the center of the train station. Come to think of it, a very airport-like experience is no coincidence, because it is possible to check your luggage here which will then automatically get transferred to your flight. Pretty neat, huh? I was half tempted to go out and buy a suitcase (and an airline ticket) just try this out to see if it really worked as advertised – but then I remembered that I’m poor and self-employed, so it was best to skip it. Unfortunately, there wasn’t a train waiting as I walked down to the platform, so I decided to wander off in the direction of…hold on a sec…this looks sketchy. I’m going back to the train station! Lime Rocket? The Glow in the Dark Express? I’ll bet the locals have some good nicknames for this train. And there you have it! 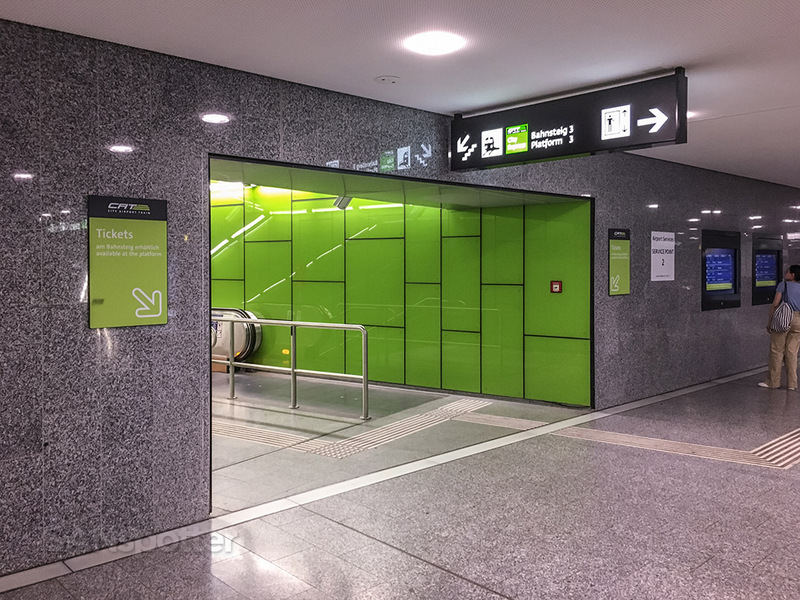 The Viana CAT train was by far one of the most easy to use (and convenient) modes of public transportation that I have ever used, which means a lot considering how fast my brain turns to jelly when confronted with things like this. 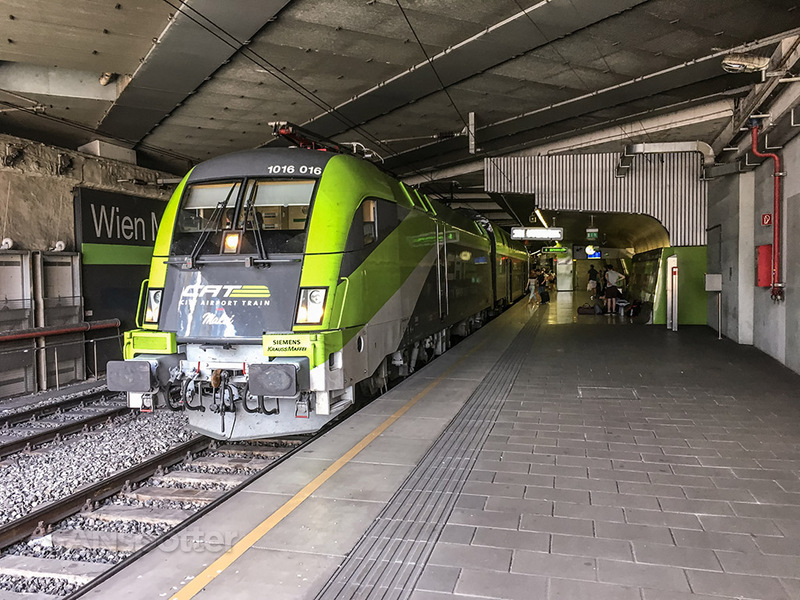 I think it’s also worth mentioning that the CAT train is not the cheapest option between the airport and central Vienna. There is a local train which is significantly cheaper, but it’s more crowded, takes a lot longer, and is nowhere as convenient as this. 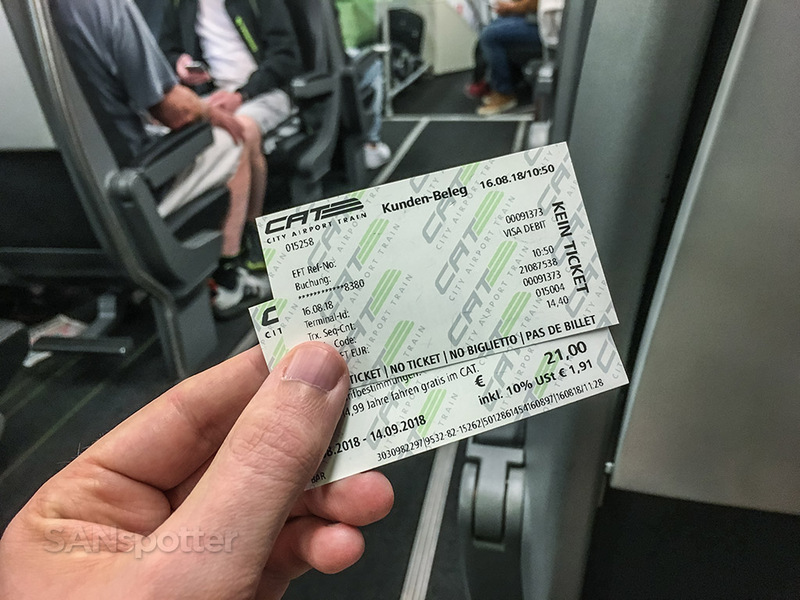 For some people, the cheaper option will always be the best choice – but I value convenience and speed over a low fare, and that’s why I’ll choose the CAT train every time.